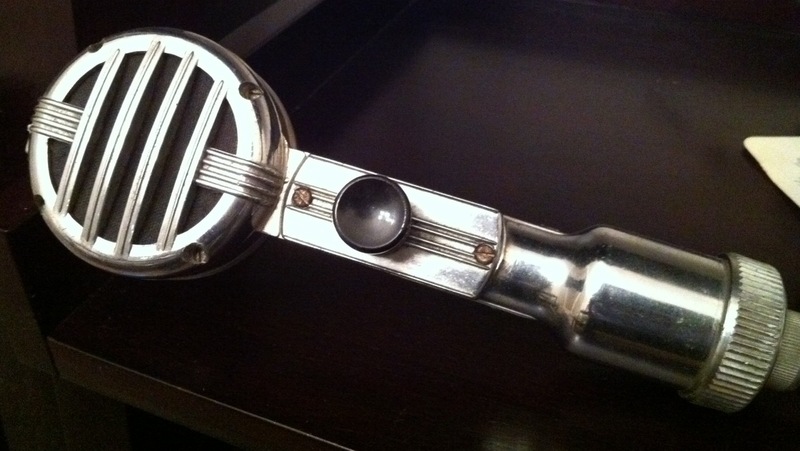 I don’t know much about this microphone — it has a “steampunkish” appearance, and an ON/OFF thumb switch. 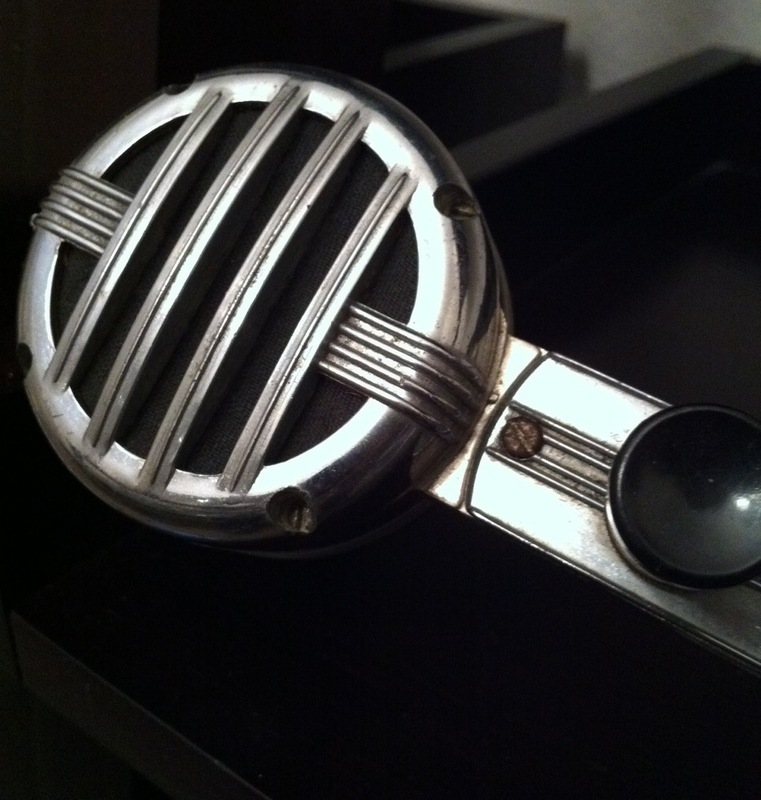 I’m guessing it was manufactured somewhere around the 1930’s or 40’s; it recently sold on eBay for $41. Enter your email address to follow Vintage Mike's and receive notifications of new posts by email.